This is a highly visual & spectacular show with a super fast get out! You can have your dancefloor or stage clear within 3 minutes! 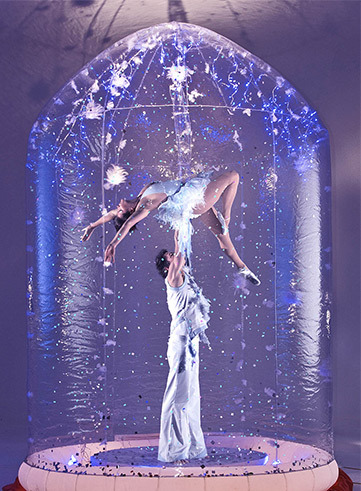 Set in the largest snowglobe you’re likely to have ever seen, 2 amazing acrobats will stun your guests as they perform a beautiful, balancing duet. 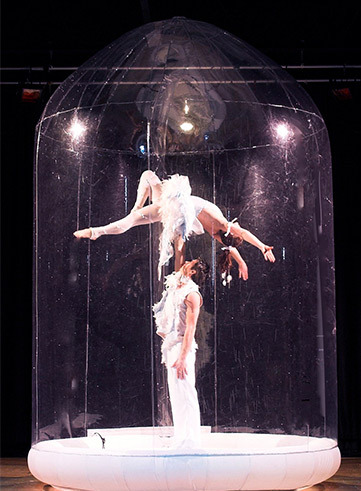 Glitter continuously falls over them whilst they showcase stunning acrobatics, incredible flexibility & strength. 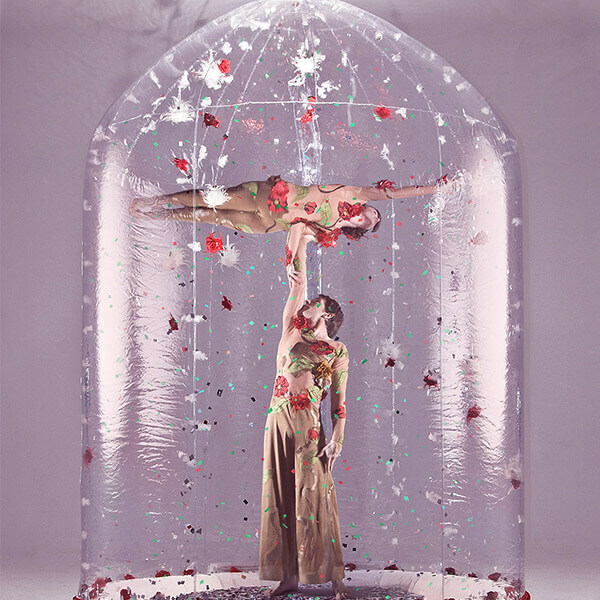 Set the scene for your event with this beautiful and original acrobatic display. We guarantee your guests will be thoroughly captivated and won’t stop talking about it!